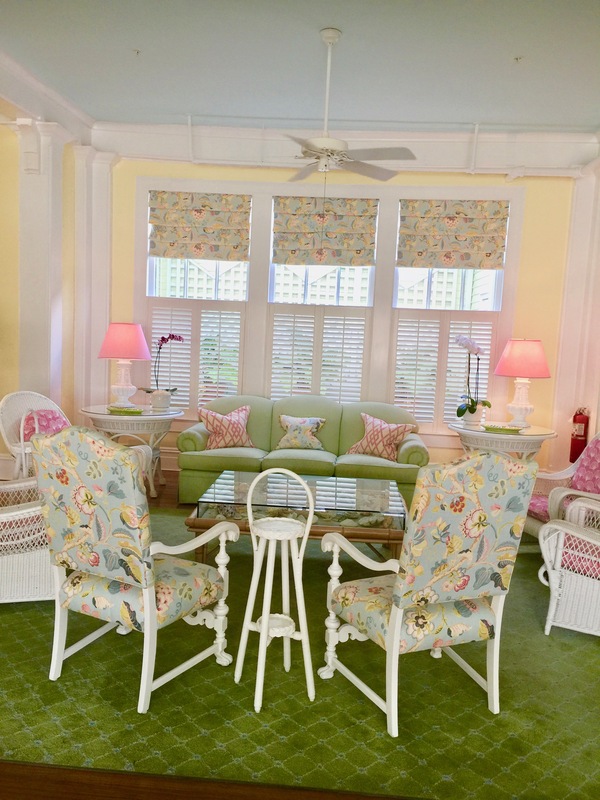 My sister and I had a wonderful girls weekend getaway thanks to The Gasparilla Inn & Club in Boca Grande, Florida. 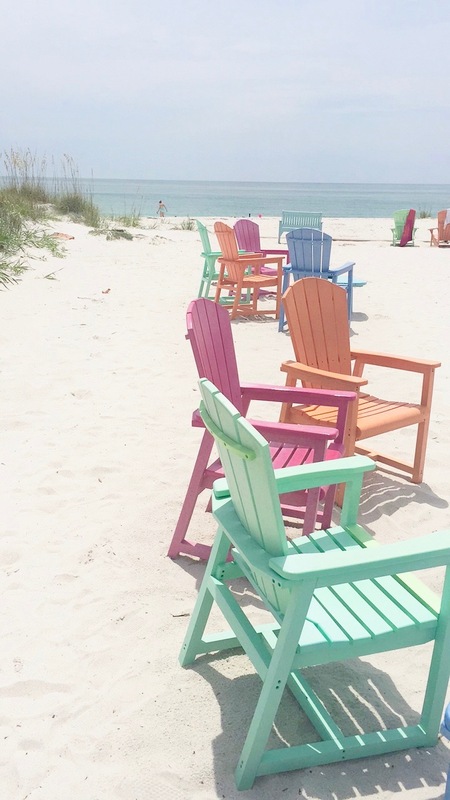 Boca Grande is just a short drive south of Tampa (under 2 hours) and the National Historic Landmark resort sits right on the heart of the beautiful and quaint Gasparilla Island along the Gulf Coast. 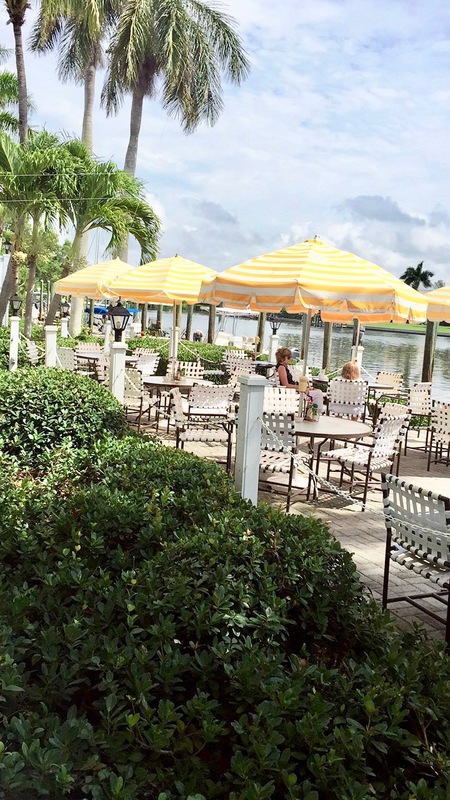 The Inn is easily accessible by air, car or boat (you could fly into Ft. Myers, Sarasota or Tampa too). 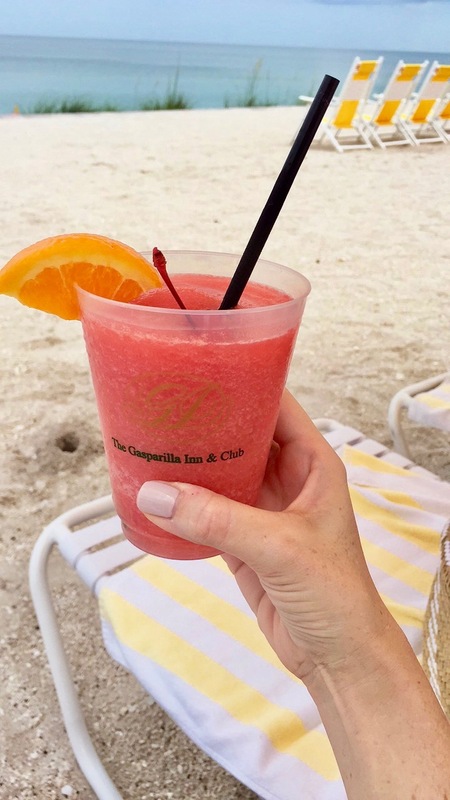 The Gasparilla Inn takes on the motto of “Florida as it was meant to be” and I don’t think another statement could more accurately describe this little slice of heaven in the sunshine state. If you are not familiar with this area, it is unlike any other in Florida and it is no wonder that it has been named the #1 resort in Florida. 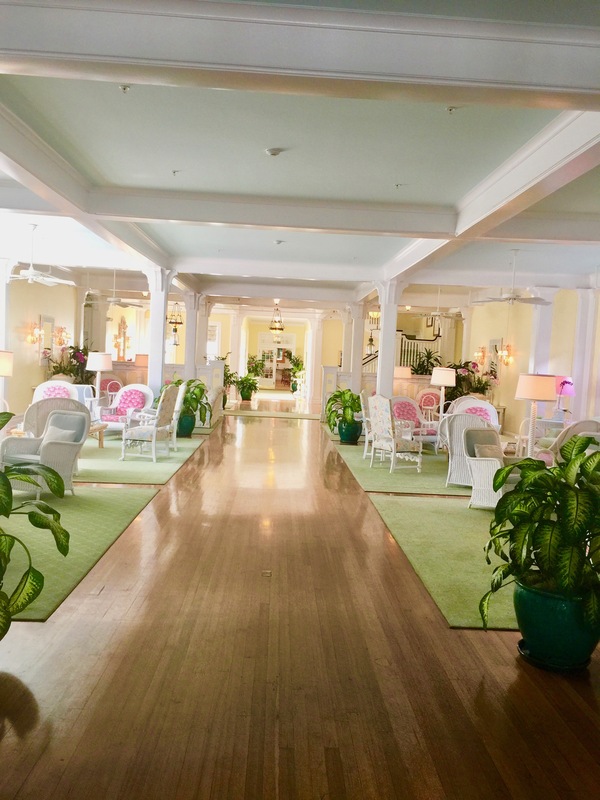 From the welcoming staff to the charming appearance, “Old Florida” traditions and historic buildings (open since 1913), there are not many places like this in the state or country for that matter. 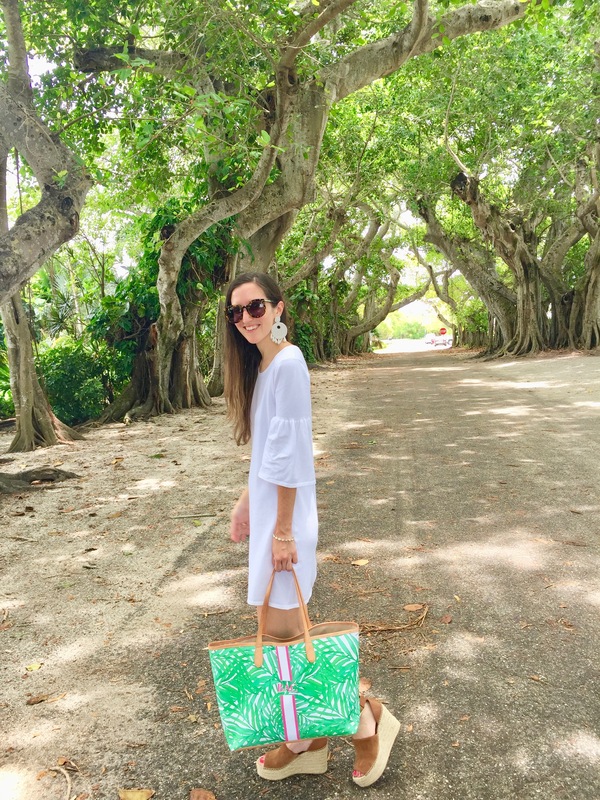 The beauty of Boca Grande and its beloved banyan trees, relaxing and laid back nature make it perfect for a family friendly vacation, romantic trip for two or for a girls weekend (like my sister and I enjoyed sans the boys). 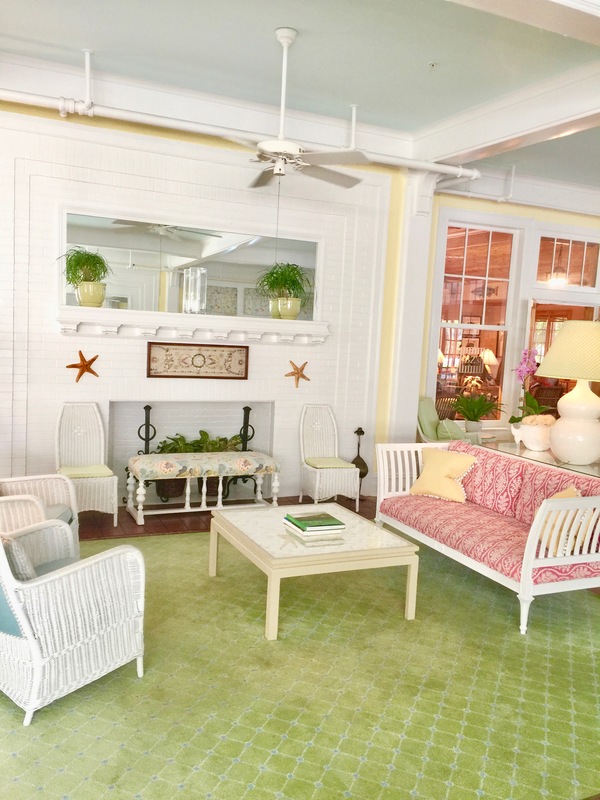 What is also so special is that the Gasparilla Inn stays true to its seasonal traditions, dress codes and southern comforts by following a seasonal opening. 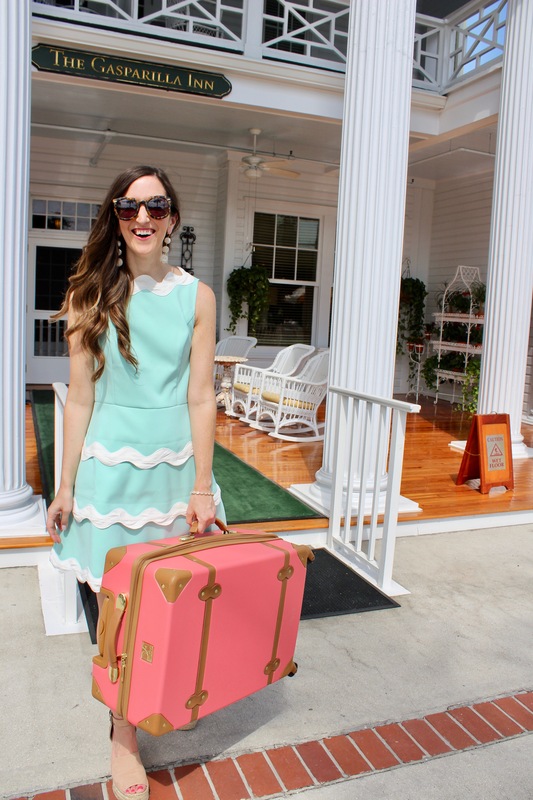 Typically this runs October through the 4th of July so now is the time to go! 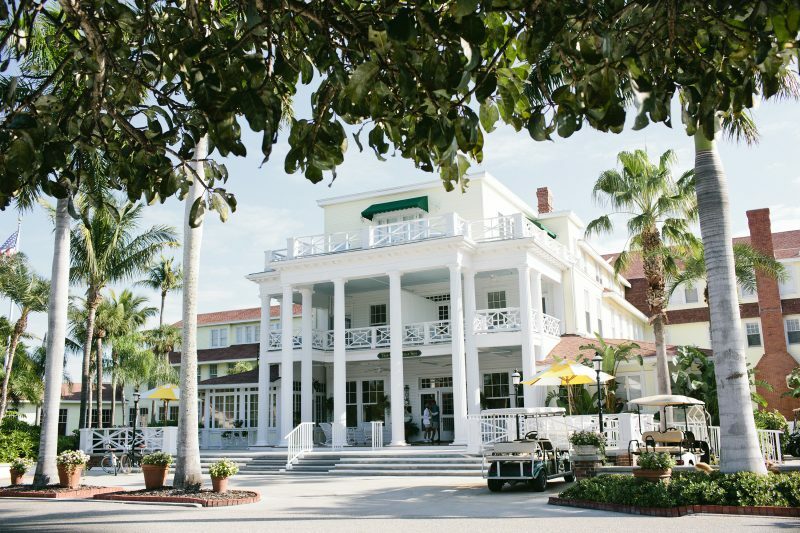 Since it is the largest surviving wooden hotel in Florida and one of the state’s first resorts, (Henry Ford, Thomas Edison and even Hollywood beauties like Katherine Hepburn have also stayed here), the Inn closes for the rest of the Summer through early Fall in order to help preserve the building. 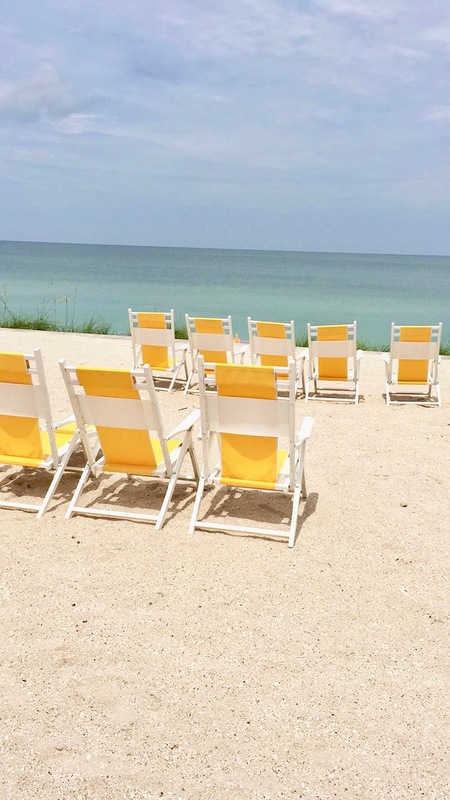 While I had been to Boca Grande growing up and even got to see a close friend get married there, this was the first long weekend I had spent at the Inn in recent years and let me tell you, it did not disappoint one bit. 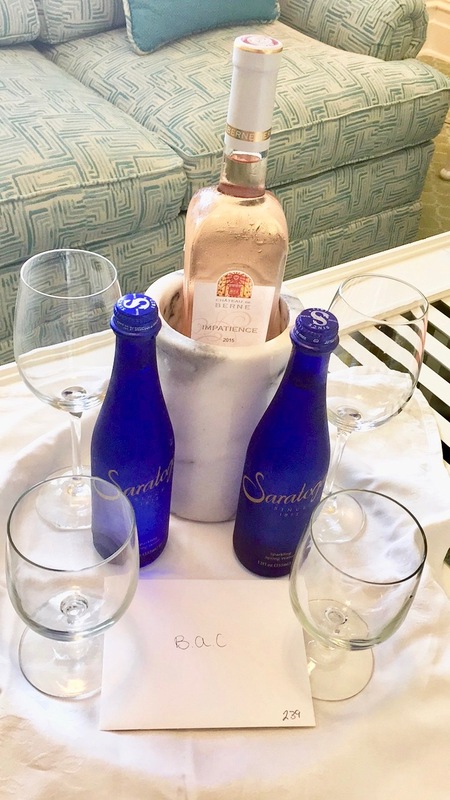 We were greeted and spoiled upon arrival with a knock at our suite’s door and a tray full of rosé and sparkling waters (my favorites!). 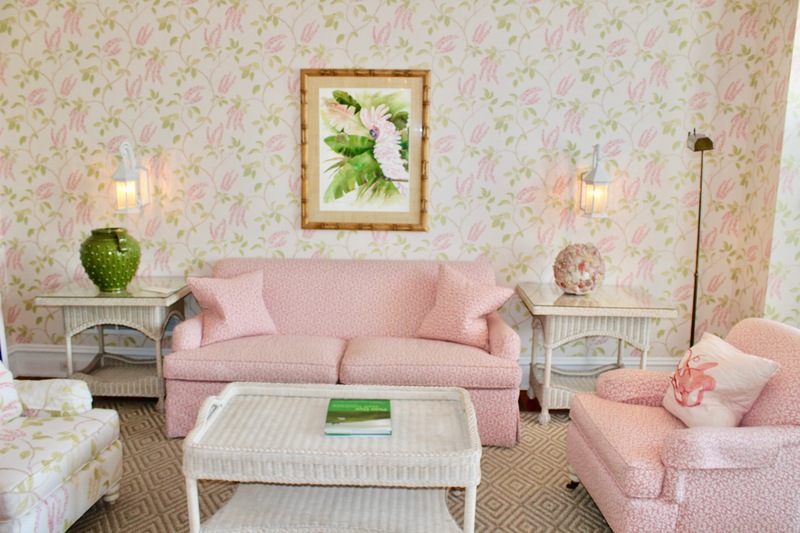 The suite was absolutely beautiful and felt just like a home. 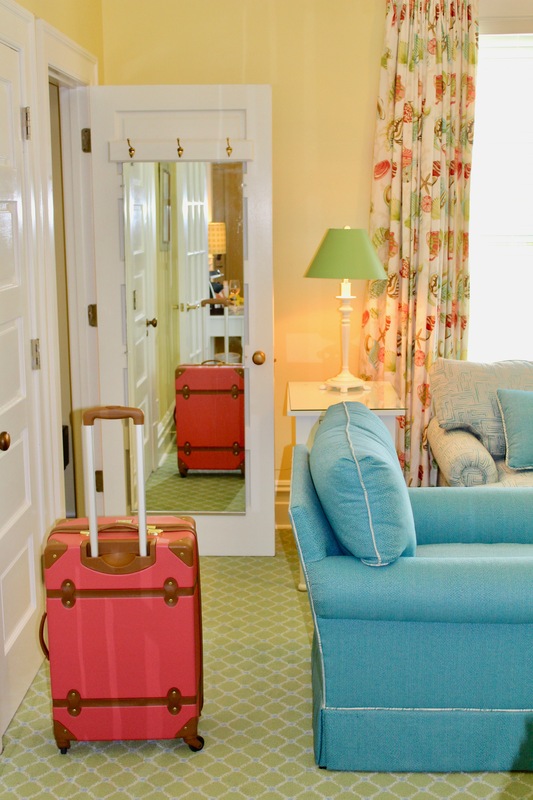 Each room also comes with tempur-pedic beds and bath amenities by L’Occitane. The day before we arrived, the Inn had just wrapped up a beautiful event with Garden and Gun (also one of my favorites!). Miller’s Marina: After we dropped our bags and picked up our light blue golf cart, we headed on over to Miller’s for a delicious casual lunch full of fresh seafood (think: peel n’ eat shrimp) on the dock. The Main Dining Room: Our first night, we were spoiled at the Inn in the Main Dining Room for dinner. We enjoyed more rosé, shrimp cocktails, Key West shrimp bisque, tomato salad, beet salad, salmon, grouper, espresso chip, strawberry & vanilla ice cream, espresso, among cappuccinos and yes, champagne. How did two girls eat all this? 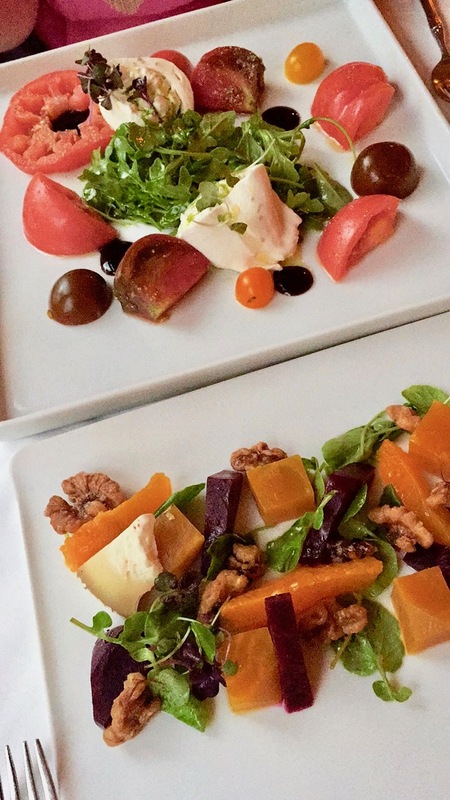 I’m still not sure but everything was absolutely delicious and the service was beyond hospitable too. The Outlet: Just down the road from the Inn, we enjoyed a comfort heavy breakfast (think scrambled eggs, toast, diner coffee, your grandma’s type of cooking) at The Outlet. It was little too hot that day to sit out on the dock but that option is always there too. South Beach Bar & Grille: We headed to the end of the Island to enjoy drinks at South Beach one afternoon (and also found ourselves conveniently stranded due to a Florida afternoon thunderstorm). 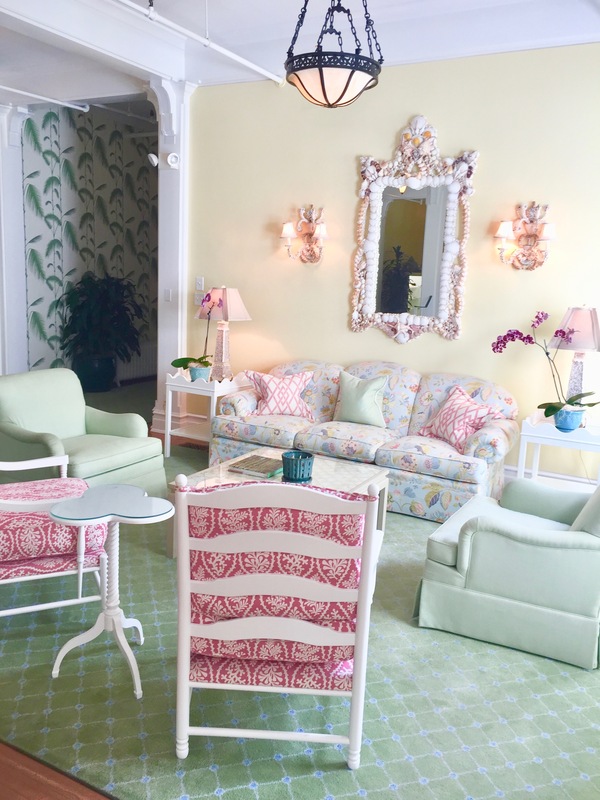 The Pink Elephant: On our last night, we enjoyed another delicious meal at a Boca Grande and Gasparilla Inn staple – The Pink Elephant. Truth be told, the time before I spent there was at the bar after my friend’s wedding events each evening but the food is delicious too! 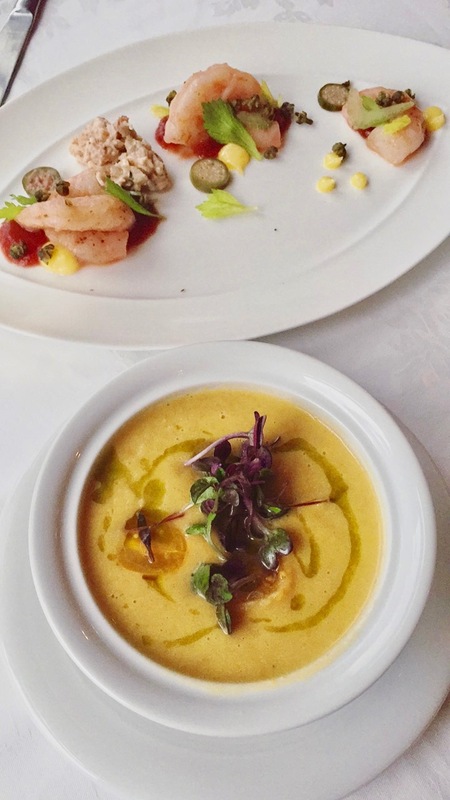 We started with cucumber crushes, tuna tartare and pimento and finished with mahi mahi and swordfish for our main dishes. Again, how did the two of us eat all this? I think the sun must work up your appetite. The Loose Caboose: Before we left on our last day, we had a casual lunch at the Loose Caboose (also known for its ice cream) in town with salads and grilled shrimp and diet coke to go (for yours truly, of course). Hudson’s Grocery: This little gem with its pink old gas pump out front is also a staple store for groceries and other necessities if you’re staying longer or book one of the Inn’s cottages. The Beach Club: Head to the Beach Club to soak up some sun on a private beach (complete with yellow umbrellas) or lounge by the pool. There are also dining options available here. 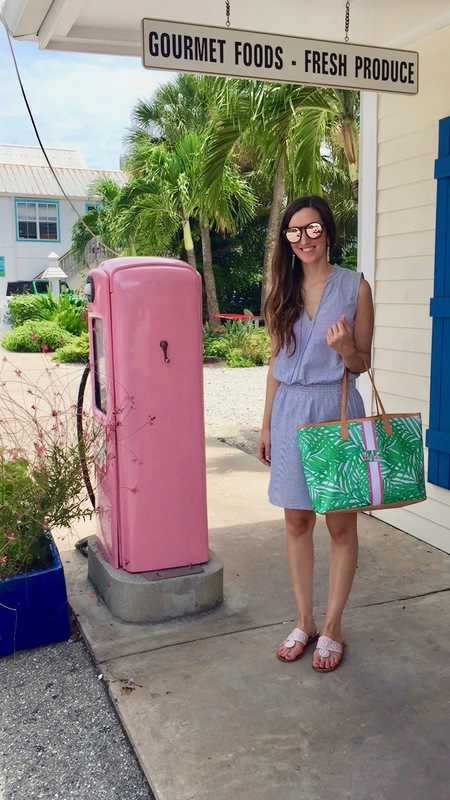 Explore the Island: There are a handful of local shops and better known ones in the small town of Boca Grande. I made my sister drive our blue golf cart all weekend long and the easiest + most popular way to get around is by golf cart. 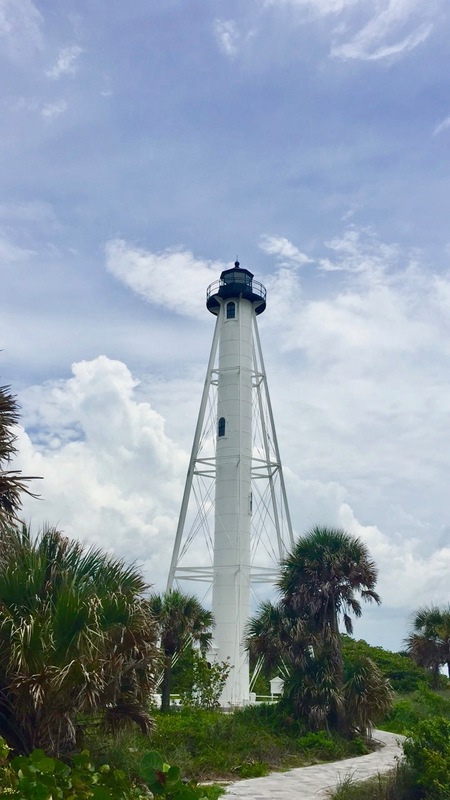 There is also a historical light house that is worth checking out too. 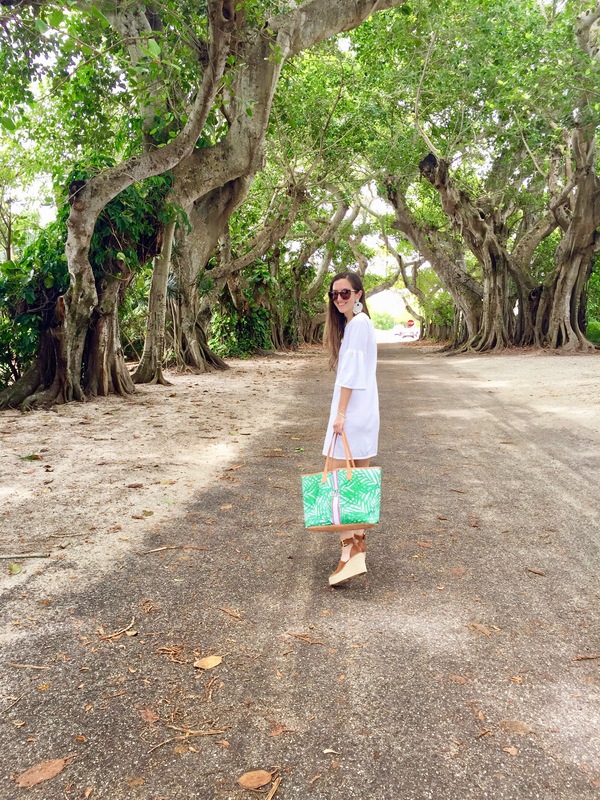 Head to Banyan Street for some of the prettiest trees in the South. Outdoor Activities: For those that want more outdoor activities there is golf, bicycle rentals, kayaks, croquet and inshore/offshore guided fishing expeditions (if you didn’t BYOB – boat, that is). 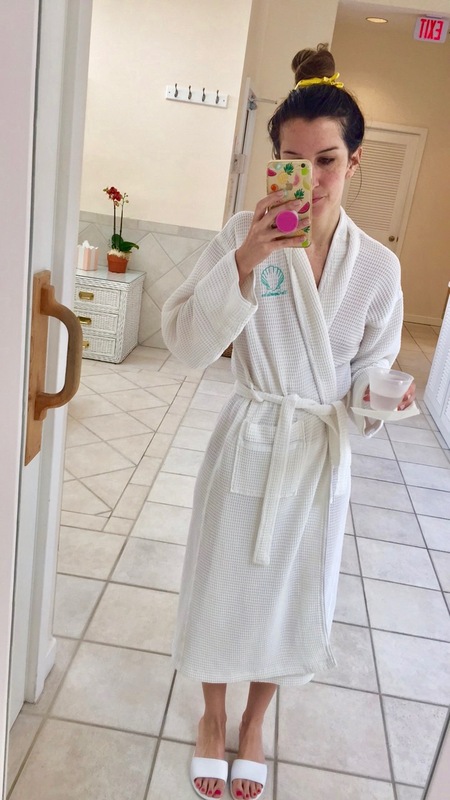 The Spa at Gasparilla Inn: Last but certainly not least, I would recommend checking yourself into the Spa for a few hours. 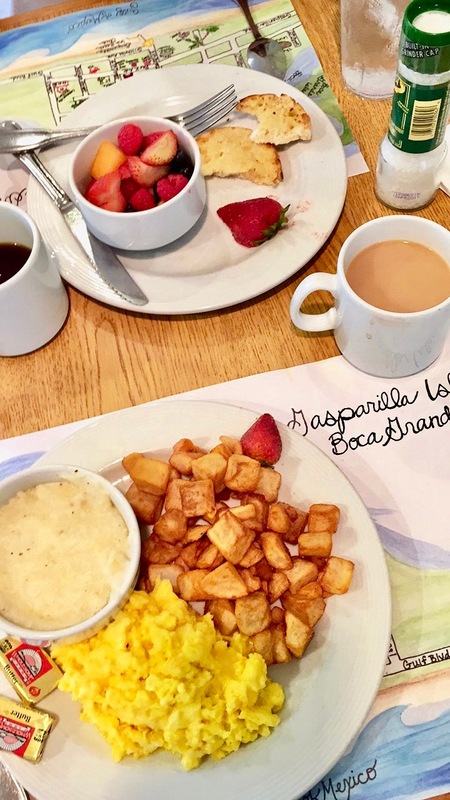 We were also spoiled here with “Taste of Gasparilla” massages plus a few add-ons that included guava anti aging butter for me and extra aromatherapy for my sister. The massage also includes reflexology, stones and I opted for a ginger lily scalp massage. Both Melissa and Erika come highly recommended by my sister and I for services. Shop some of the items I packed below. Special thank you to The Gasparilla Inn & Club for hosting us for the weekend. 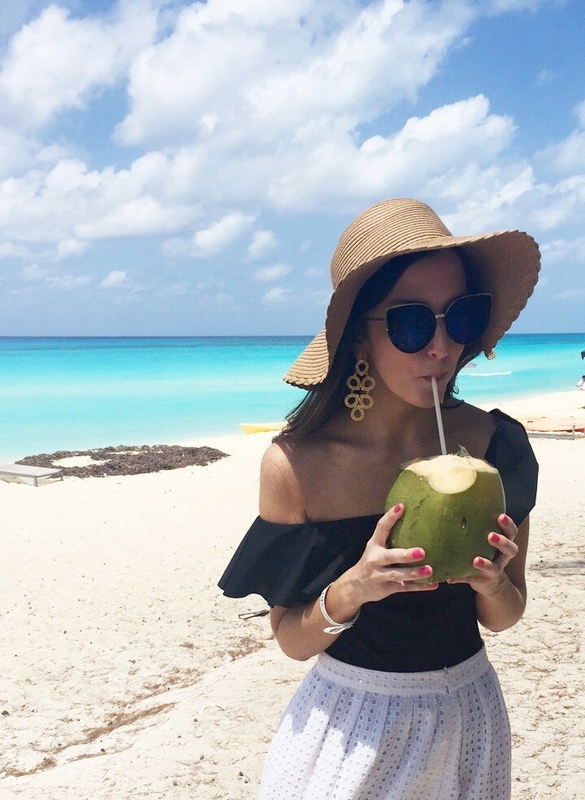 If you have been following along on Instagram and Snapchat, you know that I recently celebrated a big birthday and to do so, went on a trip with my sister to the gorgeous islands of Bimini. 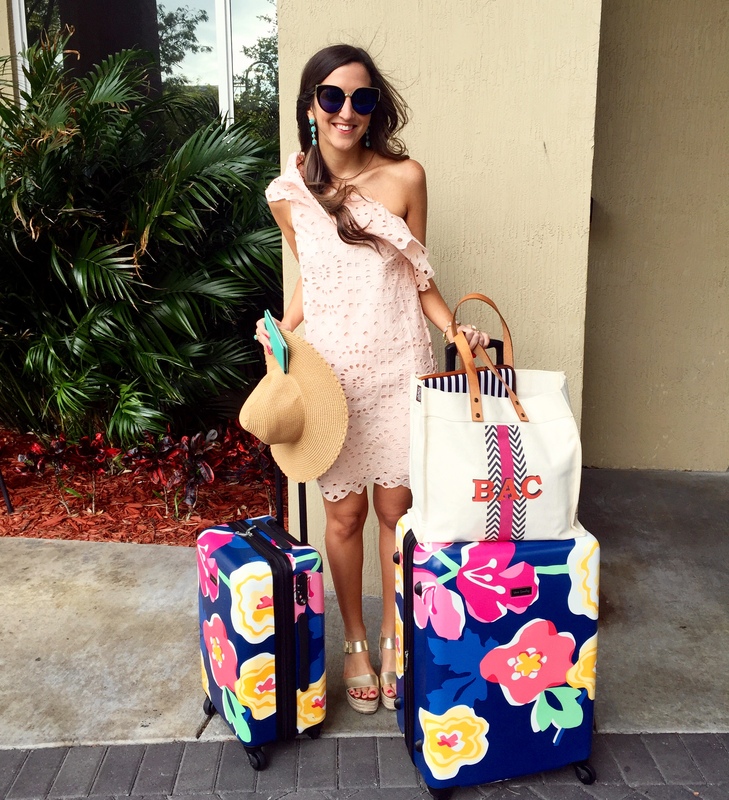 I am so excited to share with you all about our trip! First up! Where in the world is Bimini? 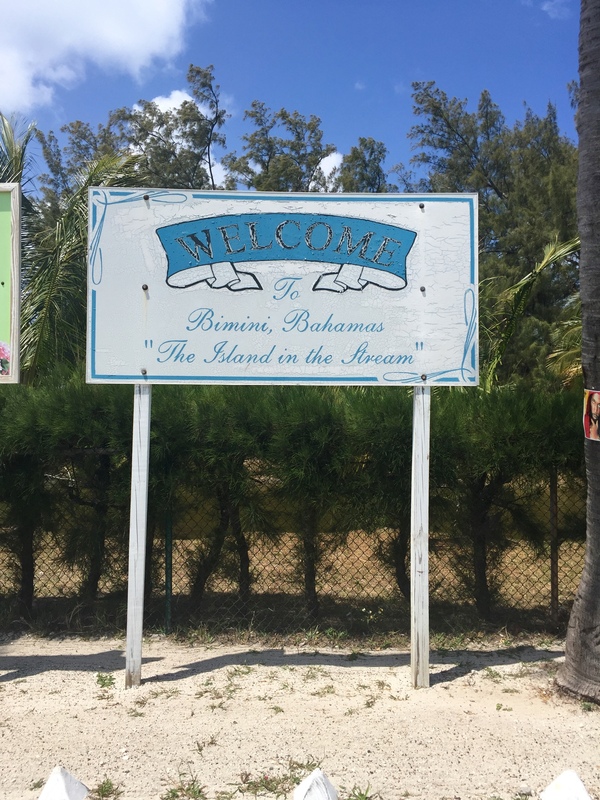 Thanks to The Bachelor this past season, many of you might be familiar with this little place of paradise but for those who are not, Bimini is part of The Bahamas and it is the western most chain of islands. This means that it is technically the closest to the United States and only about 50 miles off the coast of Miami – making it super easy to get to for all you Sunshine State-ers like myself. I must add that even though it’s just 50 miles from Miami, it truly feels like a world away. Bimini is best known for its fishing, rumrunners back in the day and beautiful turquoise clear waters. Legend has it that Ponce de León found the Fountain of Youth here. Other greats like Hemingway (Islands in the Steam was set in Bimini), Martin Luther King, Jr. (wrote part of his “I Have a Dream” speech here) and my favorite parrothead, Jimmy Buffett, also enjoyed Bimini and its beauty. Many people get to Bimini by boat (or yacht, ha!). There is also a ferry service now from South Florida and of course, there is the option to fly! We boarded a pink plane a la Silver Airways out of Miami since we spent the day before down there. It is about 15-20 minutes once in the air and there is also the option to take Tropic Air and land right on the water in a seaplane. Once we arrived in South Bimini (where the bright colored airport below is located), we took a quick taxi to the resort ferry and headed across to the island of North Bimini. 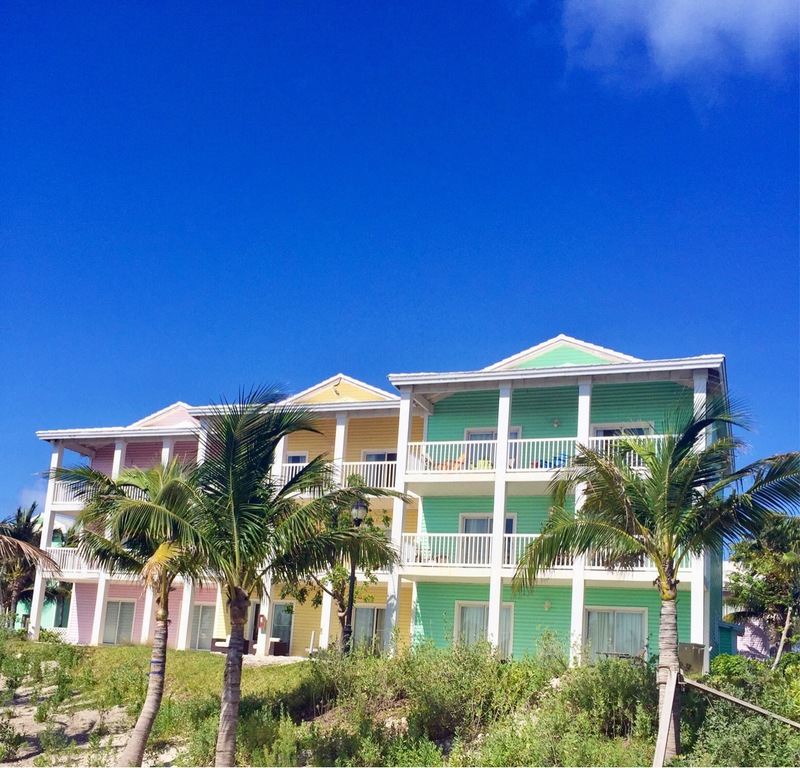 If you’ve been to more touristy parts of the Bahamas, Bimini is quite the opposite. It’s made up two small islands. 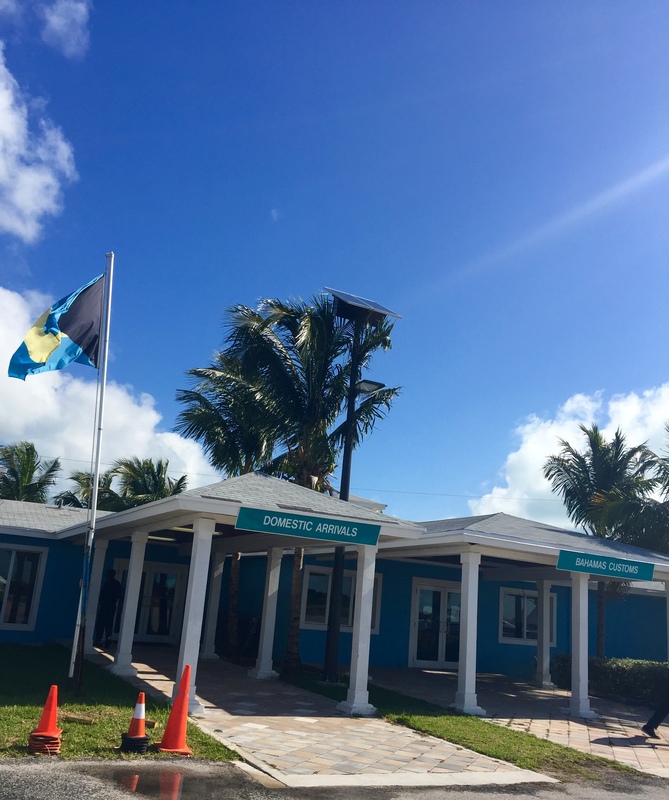 North Bimini is only 7 miles long and most people travel by golf cart around the island (I recommend renting one during your stay) and you might miss the town square if you blink. With that being said, it’s absolutely beautiful, Biminites are quite friendly people and the local spots and beautiful waters were our absolute favorite part of the trip. 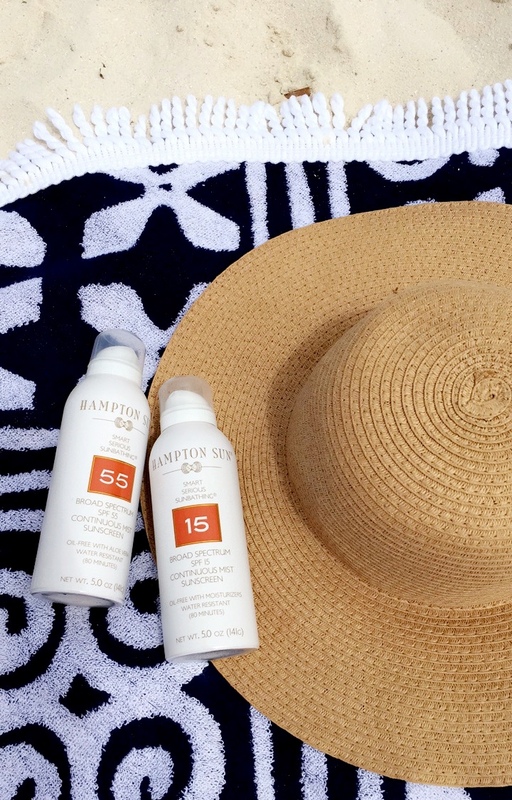 Sandals, bathing suits, hats and plenty of sunscreen! 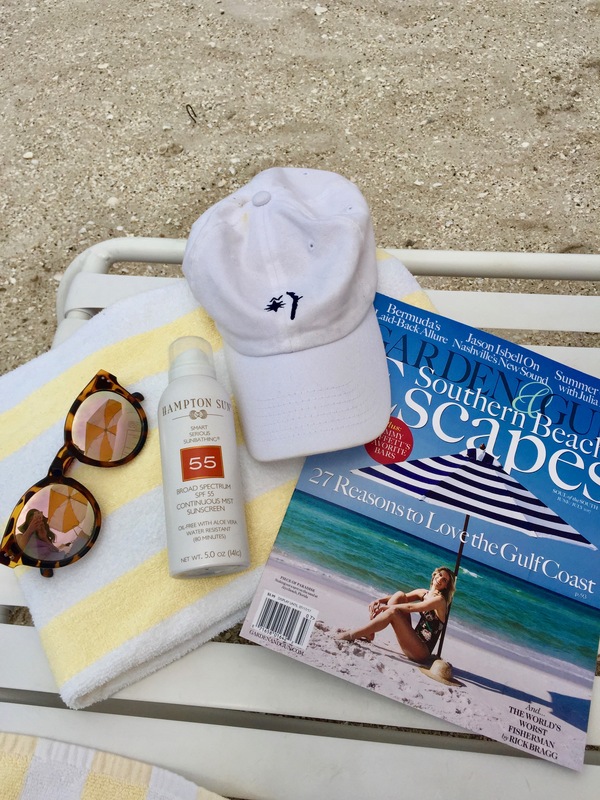 I brought along a beach tote full of my favorite Hampton Sun products too. 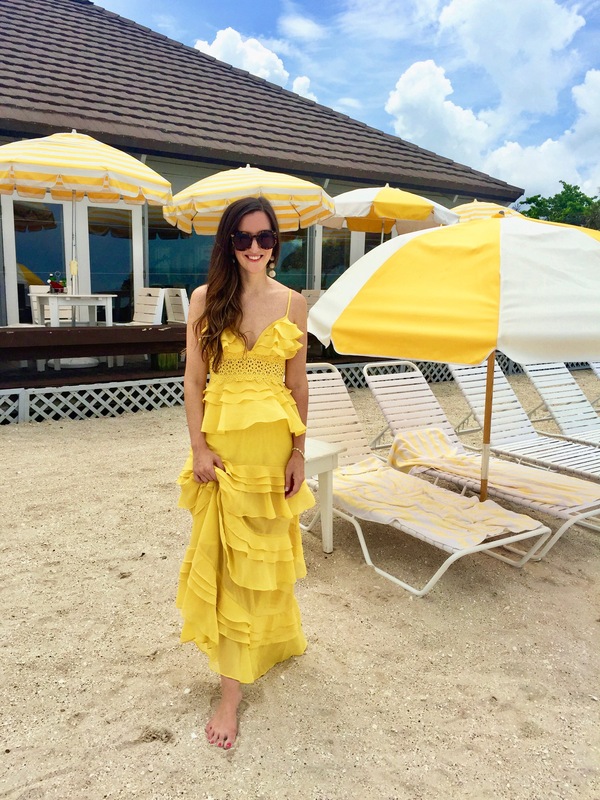 Bimini is very casual and truth be told, I didn’t wash my hair once on this trip (thank you, Drybar). It smelled like sunscreen and salt water by the end and I did not mind one bit. I’ve included some more of my looks below and links to other ones as well throughout the post. Oh yes and don’t forget your passport. Resorts World Bimini offers an array of world class amenities, as well as homes, condos and of course, the Hilton property (where we stayed for the week). 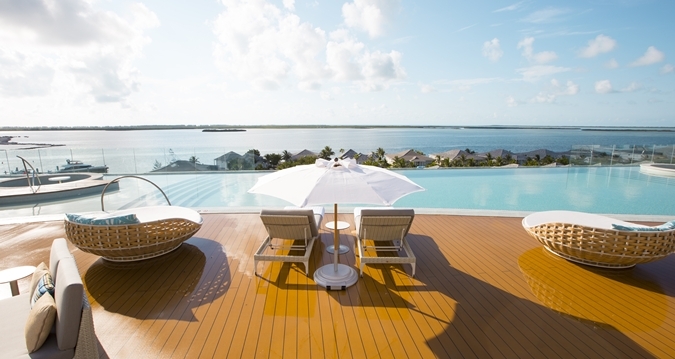 Not only is there breathtaking views of Bimini Bay and the Atlantic Ocean, but the resort also has several pools including a rooftop and an infinity one, a serenity spa, private beaches and numerous dining options and offshore excursions. Our room at the Hilton was beautiful with two comfortable beds, an amazing bathroom and shower and while we spent most of our time by the pool or on Paradise Beach, it was a lovely place to come home to each evening. 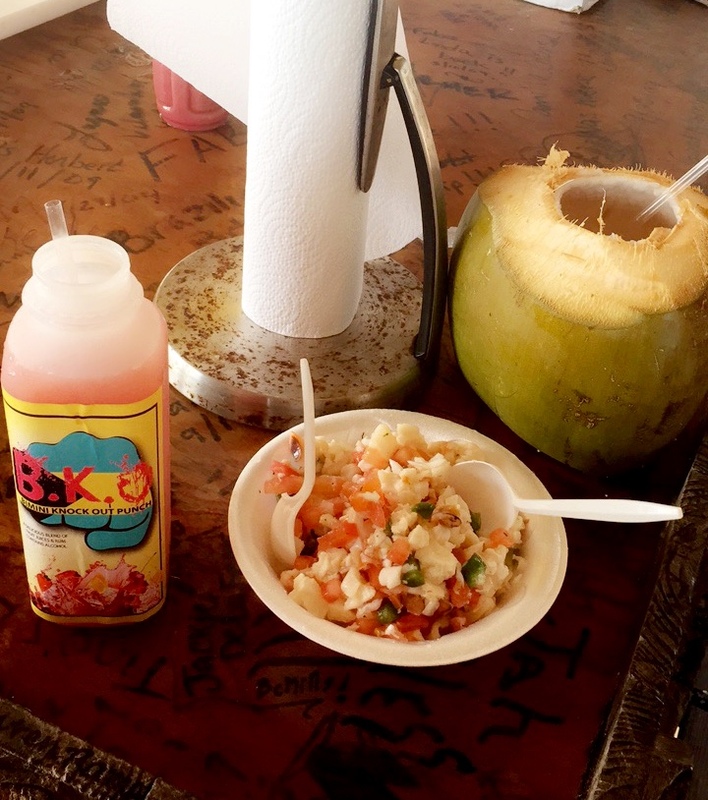 If there is one thing you absolutely must do on your Bimini trip, it’s stop by for an afternoon at Stuart’s Conch Stand in Alice Town. The stand/bar is family owned and operated, and we had such a great time with the locals and visitors alike, that we went two days in a row. 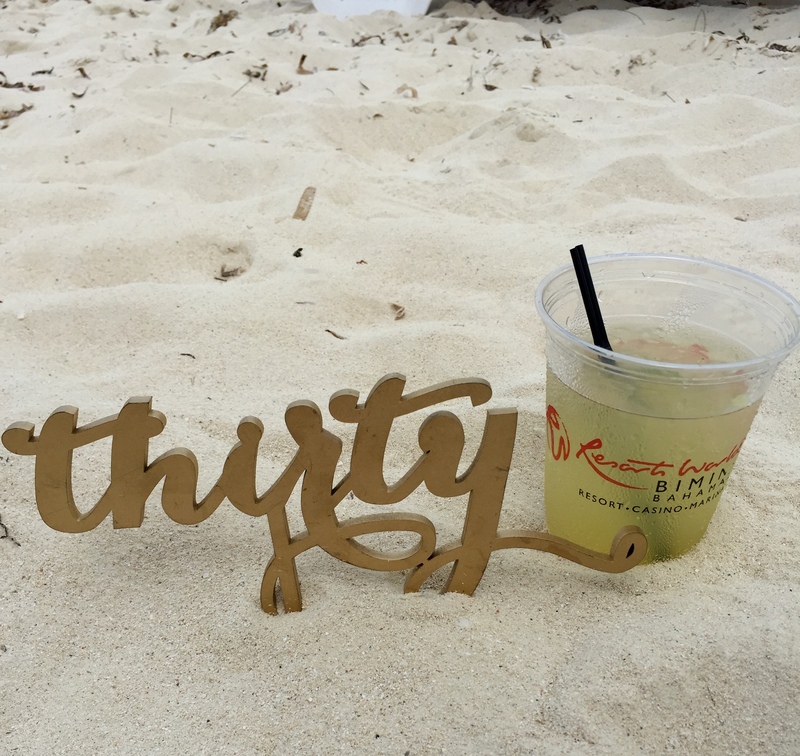 I recommend the conch salad, conch and lobster salad and the homemade rum knockout punch – it’s absolutely delicious, made each day and comes in convenient to-go bottle. We tried another local conch stand too and having been to both, Stuart’s wins hands down! 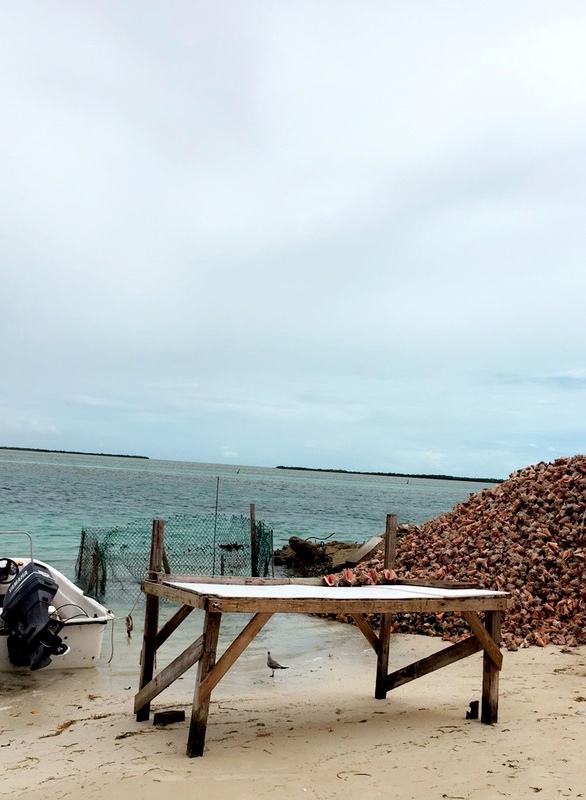 Truly, the conch and all the seafood in Bimini is brought right in off the boats, and would only be fresher if you ate it underwater. 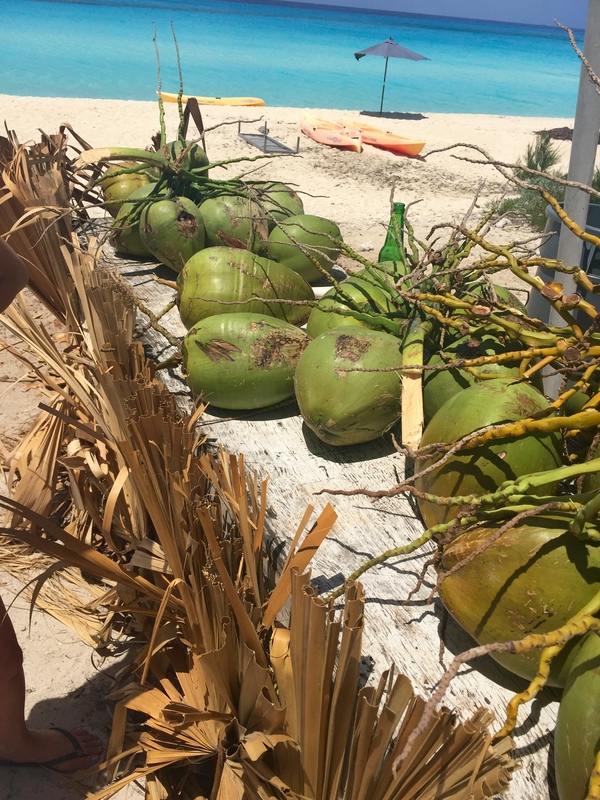 Heading to CJ’s for a fresh coconut drink on the local Radio Beach is also highly recommended by yours truly. 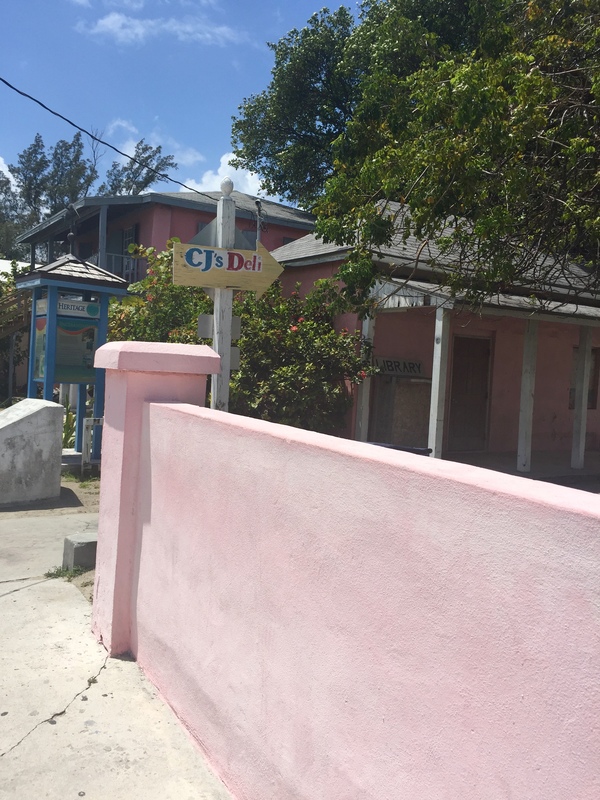 A lot of the other friends we made along the way enjoyed Edith’s Pizza in town (for those that can eat gluten, Bahamian bread and crust, I’m told, is some of the best around). For those that love fishing, diving and snorkeling – Bimini will be your paradise. 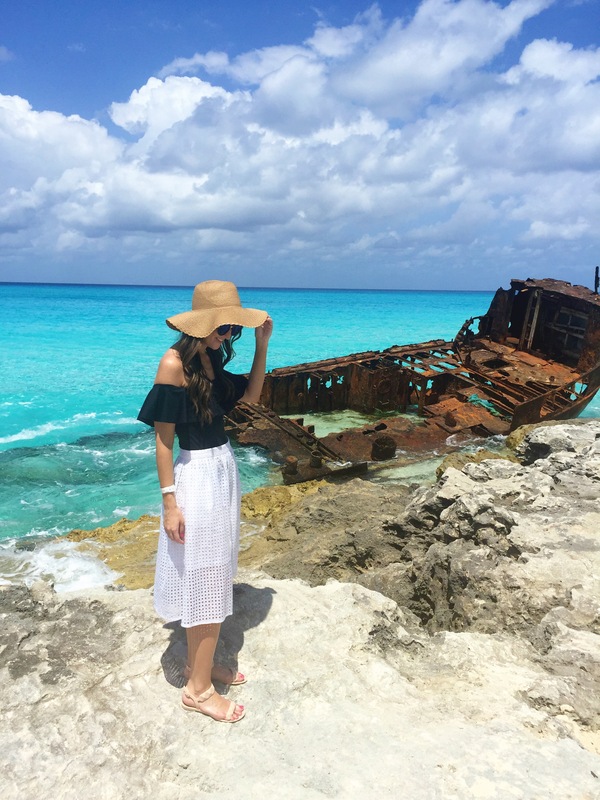 You can snorkel out to a shipwreck in the middle of the ocean and explore at Resorts World Bimini. 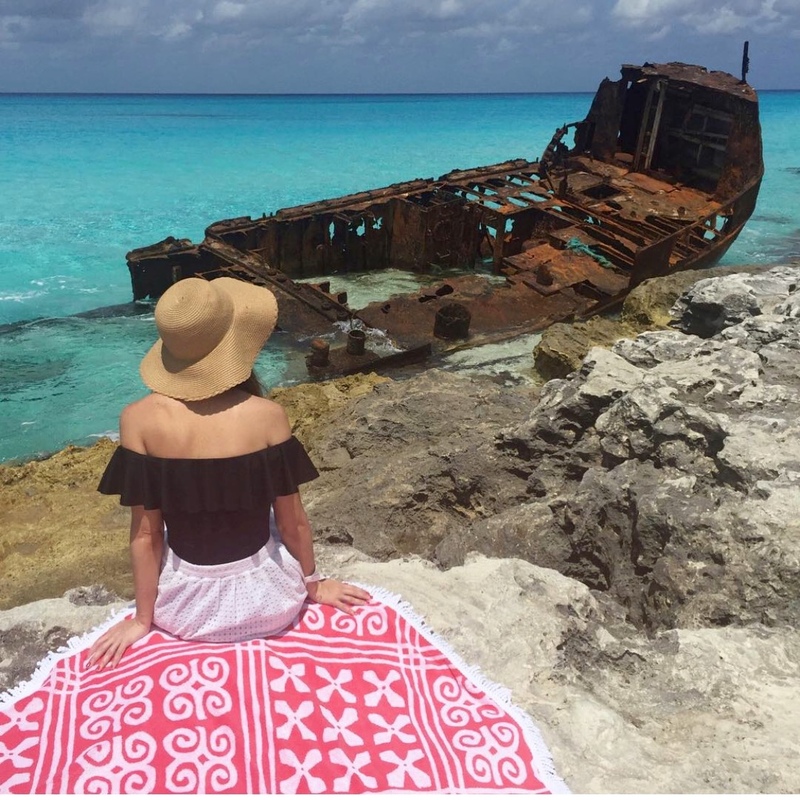 And for those of you that do not enjoy sharks (like myself), you can still take in Bimini’s beautiful waters and a shipwreck up close at the Gallant Lady. It’s breathtaking at sunset and there are resort trams that can also take you there. 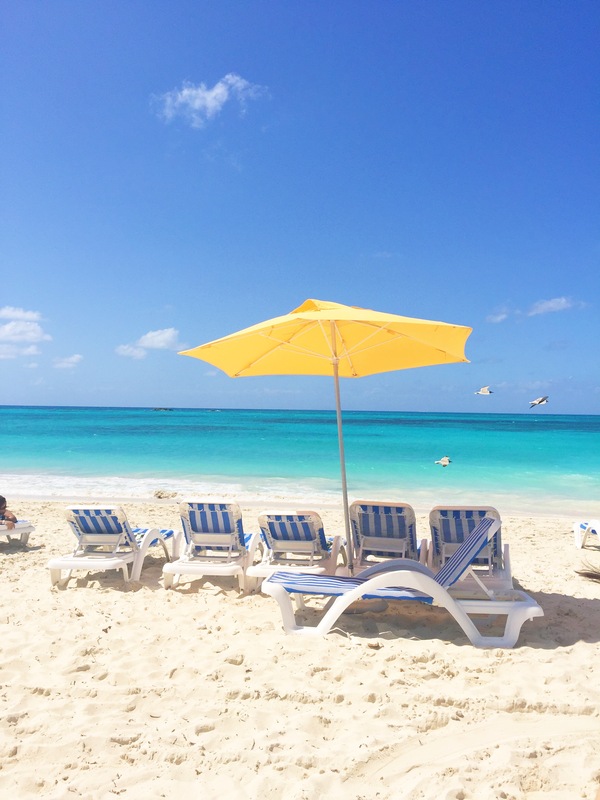 After long days on Paradise Beach, under yellow umbrellas on blue and white striped chairs (rum drinks in hand), my sister and I enjoyed several of the restaurants at the resort. We had room service delivered in the mornings and enjoyed jerk chicken fries and fresh shrimp by the pool at Oasis. We also ate dinner at the Tides and the hotel has a lovely Raw Bar in the lobby with a happy hour. Leroy was our favorite bartender there! However, by far, our best meal on property was the sushi at The Sushi Bar where we ate the last night. It goes without saying that all of the seafood in Bimini (on property or off) did not disappoint. 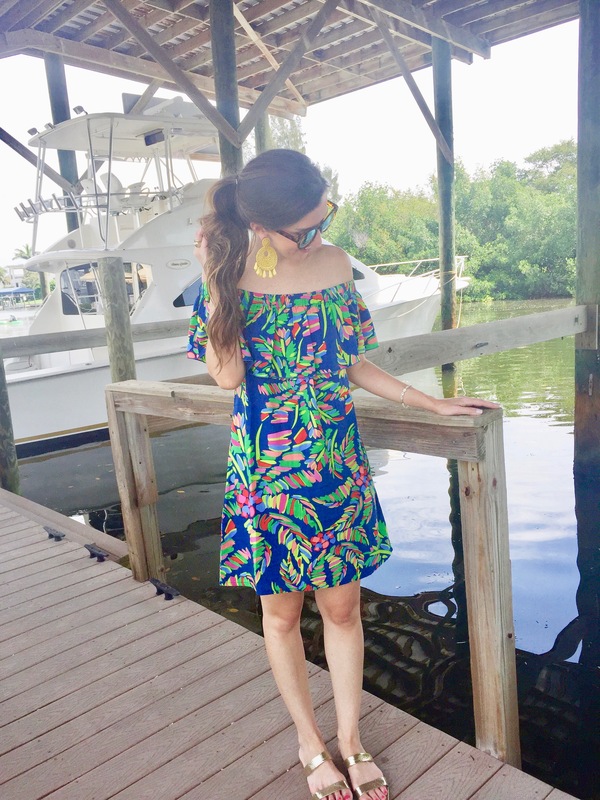 This trip was the perfect way to bring in a new decade and it’s easy to see why Hemingway, MLK Jr., Ponce de León and Jimmy Buffett loved it so much too. I am counting down the days until I’m back! If you go, you have to let me know! 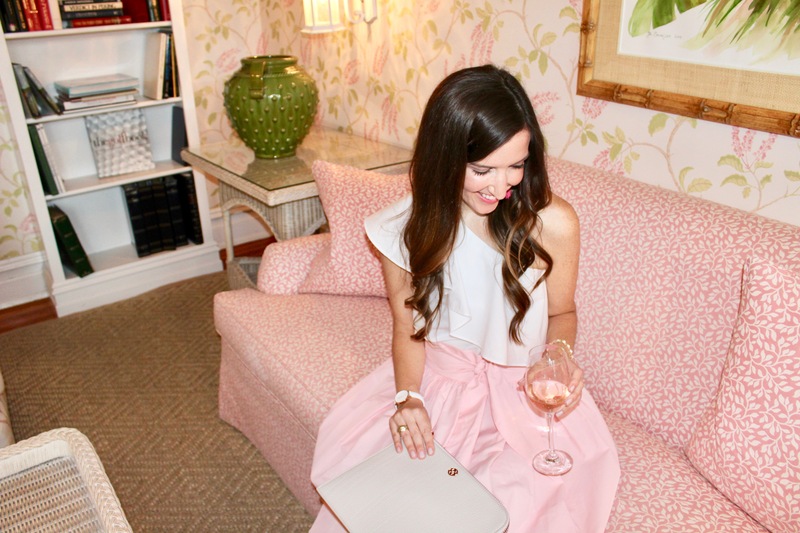 Aside from my men’s gift guide today, I wanted to bring you this simple holiday look I wore last week. It was the one chilly day we’ve had in Florida all December (or year for that matter) and I took full advantage to throw on this fur wrap too. 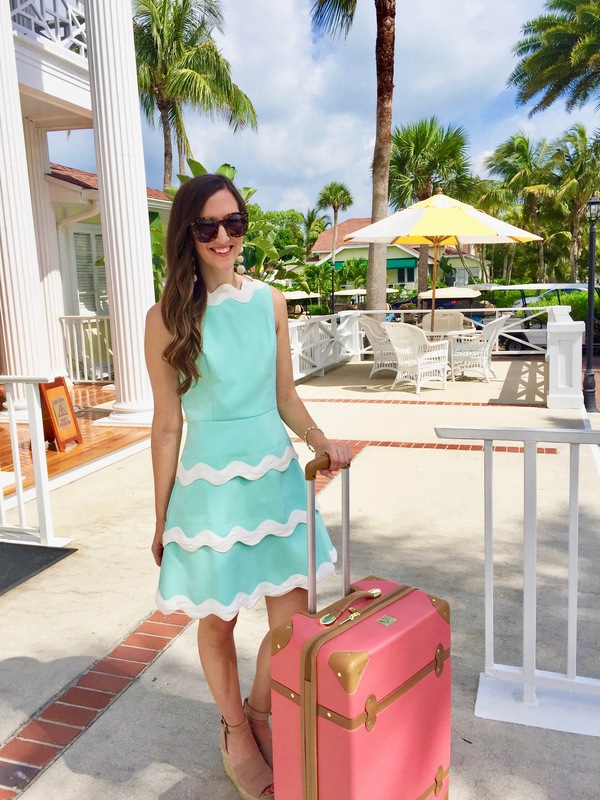 This adorable swing dress (c/o*) is on sale and so comfortable (linked below!) – it’s quite fitting for the holidays and hosting. Additionally, for those of you that are in colder climates, I love how it’s long sleeved and can be paired with tights too. 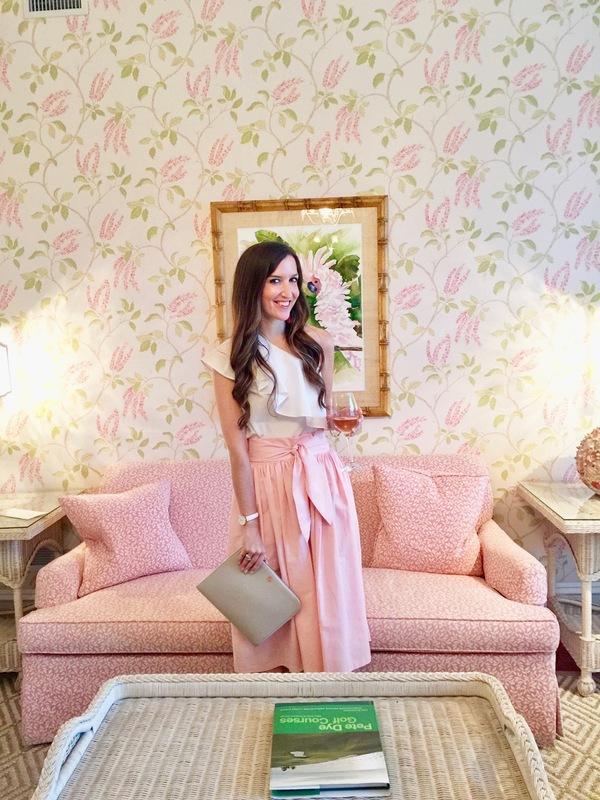 The wrap (c/o* – also linked below!) comes in various colors and I plan to pair it with jeans and turtlenecks too for a more casual look. Might I add that this wrap would also be a great gift? Plus it’s one size fits all, duh. And finally, while I do not need any new winter jackets for the Florida season this year, I am headed to Nashville in a few days and the forecast says COLD so I could not resist picking up the long version of the quilted faux fur jacket below. It’s 55% OFF, under $100 and every color and style is also on sale. It’s also water repellent so I thought I would share for those of you that may get more wear out of it in 2017 than me. Stay warm and tuned for more gift guides and giveaways (on Instagram/Snapchat)! 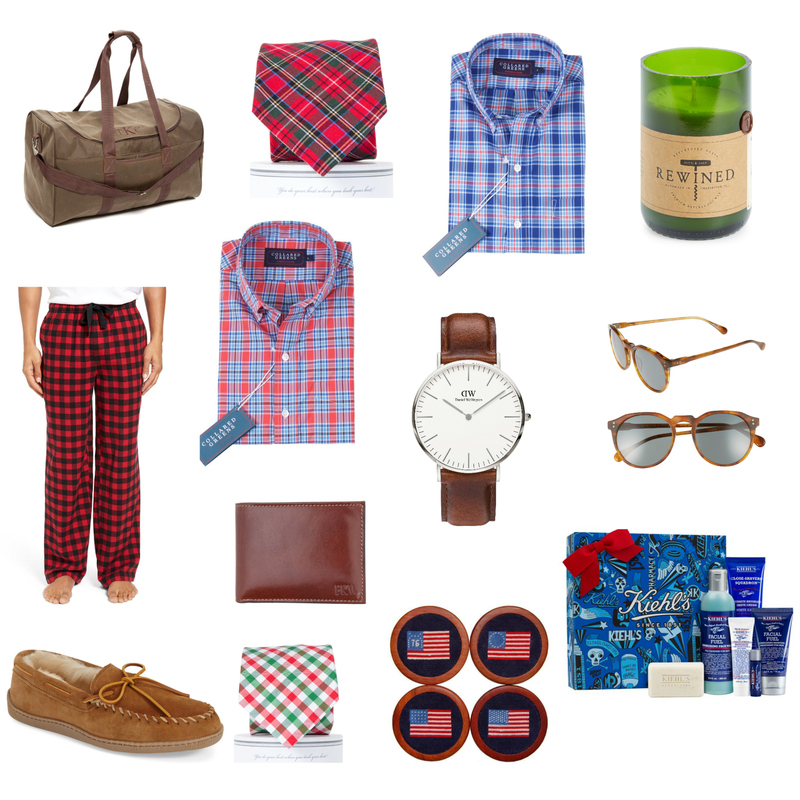 Today I’m back with another gift guide – but this time, for all the men in mine and your lives. Whether it’s your beau, dad, brother, husband, best friend EVER or even yourself (yes, I know some of you reading are males and were curious so you clicked too). 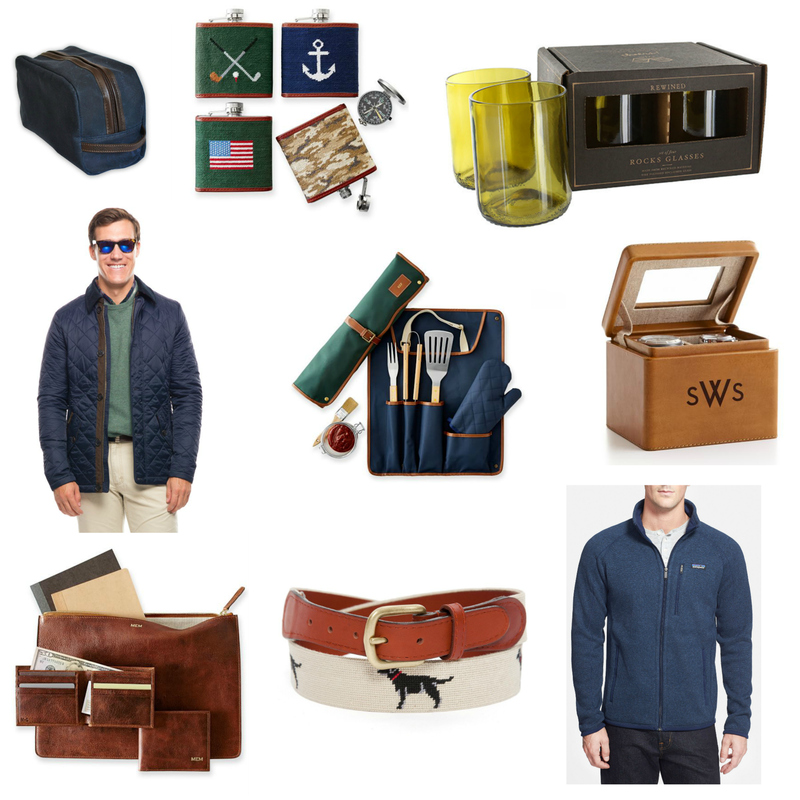 Alas, I’ve rounded up some of my favorite brands and picks for those that put up with the best of us all year round. Let me know how he likes it and stay tuned for a few more guides coming your way with more of my favorite items plus last minute suggestions too! If you’ve been following me along on Snapchat (bannc), you know that I have been wearing my Christmas PJs and slippers – both new and old – already as soon as we hit December 1st. 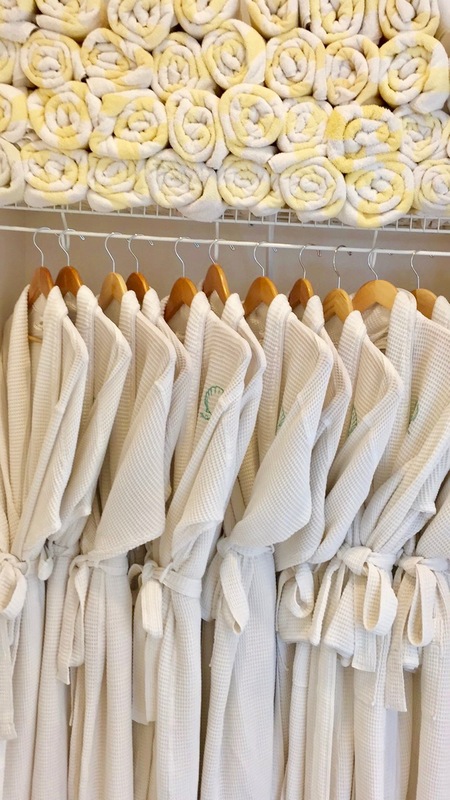 I pretty much have an obsession with PJs in general – so the holiday season brings this out even more. I’ve rounded up some of my favorite ones this year and included below (lots on sale too!) – these are also perfect gifts and attire for Christmas Eve and morning, of course. Being the oldest of four, I still like to match with all my younger siblings on Christmas morning, cheesy, I know, right? I think they might be over it but I still get way too excited about it. 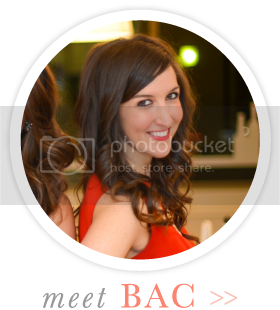 I’ve also included my absolute favorite new bralette in holiday colors (it’s only $20!). I have a few of these and they’re perfect for those of us that are not as blessed up top! Oh yes and if you’re not already, be sure to follow me along on Snapchat (bannc) – for more about all my holiday decorating and festivities. I am also about to do some AMAZING giveaways on Instagram soon so stay tuned!